During the 2017-18 school year, the Unit, among many other things, achieved signing up 591 college students to live a tobacco-free life. SAN ANTONIO — In just a little over a year after its return to Huston-Tillotson University’s (HT) campus, Unit 69AA of the NAACP becomes a national NAACP winner, and so does the Unit’s 2017-18 president, Derrick Lewis, II. On Tuesday, July 17, in San Antonio at the 109th Annual Convention of the NAACP, Unit 69AA of Huston-Tillotson brought home the NAACP Youth and College Division’s “Game Changer Issue” award for Health Advocacy, and Lewis was named the “Organizer of the Year” in Region 6 (Texas, New Mexico, Oklahoma, Arkansas, and Louisiana). Although Lewis graduated from Huston-Tillotson in May, his work to lead the unit to national honors pulled him back this week to cement his HT legacy with his own honor. By the way, it was Lewis who helped bring back the NAACP unit to HT. “I was like, ‘Wow!’ I was definitely shocked and humbled,” Lewis said of his reaction when he heard his name for the Organizer award. And the unit went wild when it heard its name for the Game Changer award. 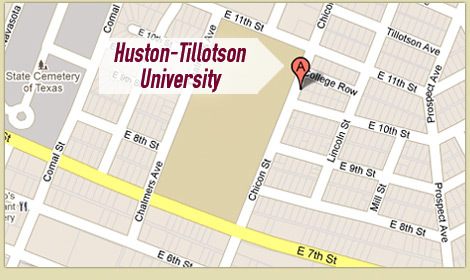 Both the unit and Lewis winning were not really a surprise to Huston-Tillotson because just a couple months earlier in May during HT’s RAM Fest Week, Unit 69AA won “Student Organization of the Year” for the second consecutive year, and Lewis won “Student Leader of the Year” for the second consecutive year. The unit also won HT’s “Outstanding Commitment to Service” award. HT’s students and staff recognized the unit’s hard work, and the national organization of NAACP recognized it, too. During the 2017-18 school year, the unit had a very busy year. At the 2017 national convention, the NAACP awarded the unit a grant for an awareness campaign with a goal of addressing a problem in communities of color and keeping black economic power ahead. The unit led a “Youth Against Menthol” campaign to spread awareness of target marketing. Lewis explained that the NAACP tasked the unit to conduct tobacco education sessions on preventing tobacco use by knowing its effects. The unit had to try to get students from across the region to sign up to live a tobacco-free life. The campaign was so successful that the national NAACP office retweeted HT’s unit’s efforts. The biggest success was achieving 591 college students across the region to commit to a tobacco-free life. Other successful events included voters’ education sessions and registration drives. Lewis’ drive and saying that he puts into action paved the way to his national honor. Before Lewis graduated, he passed the leadership baton to rising junior Jared Breckenridge. Breckenridge wants to keep the momentum going that Lewis started, now that he is president. Breckenridge’s vision for the unit is strong. Breckenridge invites the community to attend the unit’s 2018-19 activities and give its input on how the unit can better serve the community.